If there was any doubt about which snowmobile was the world’s best, Team Arctic snocross and hillclimb racers answered by winning a combined 10 World Championship titles and taking 29 podium positions. 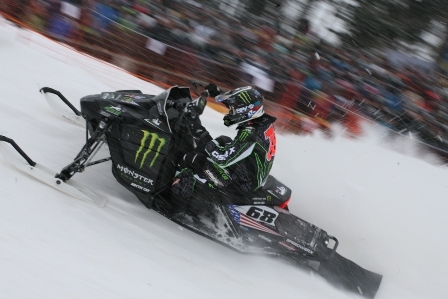 At the FIM Snocross World Championship in Mala, Sweden, Team Arctic’s Tucker Hibbert won his first-ever World title in convincing fashion, going 1-1-2 in the round-robin format finals. Just as impressive was the history-making Team Arctic podium sweep, with Sweden’s Johan Lidman taking second and Alaska’s Cory Davis taking third. On this side of the pond, Team Arctic hillclimbers applied their skill with the incredible climbing ability of the M Series snowmobiles to win nine classes at the Jackson Hole (Wyoming) World Championships, including two King of the Mountain titles. Highlighting Arctic Cat’s strength in all engine categories, Team Arctic racers scored wins in the 600, 700, 800 and Open classes to once again confirm that M Series Mountain sleds are best-in-class. “Winning 10 World Championship titles in a single weekend is a huge accomplishment for Team Arctic,” said Mike Kloety, race manager. 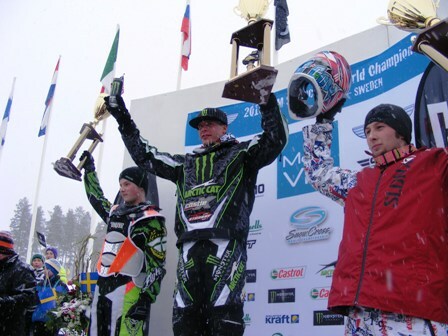 “Sweeping the podium in Sweden put an exclamation mark on another winning season of snocross. Yoga weight loss can be aceevihd through self awareness, positive attitude and a goal to keep. The more you become aware of yourself, the more you you will appreciate yourself. AS you do so all the more that you will strive harder to make yourself healthy and shapely.